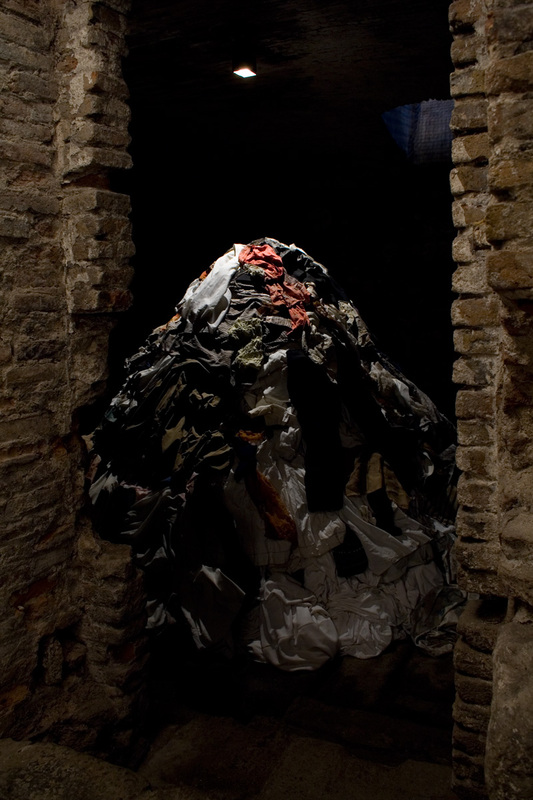 The installation Anamnesis (2005) is a turning point in the creative process of the project Memory and Blindness. 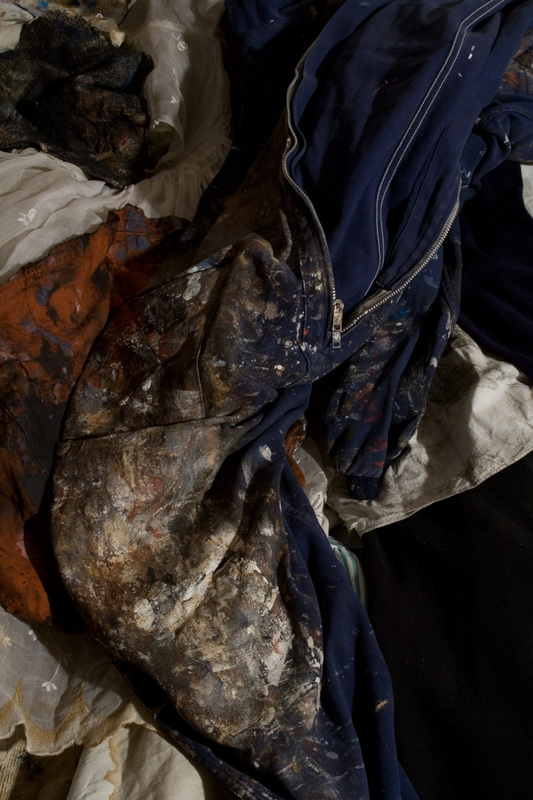 This work is born out of a questioning and crisis with painting. 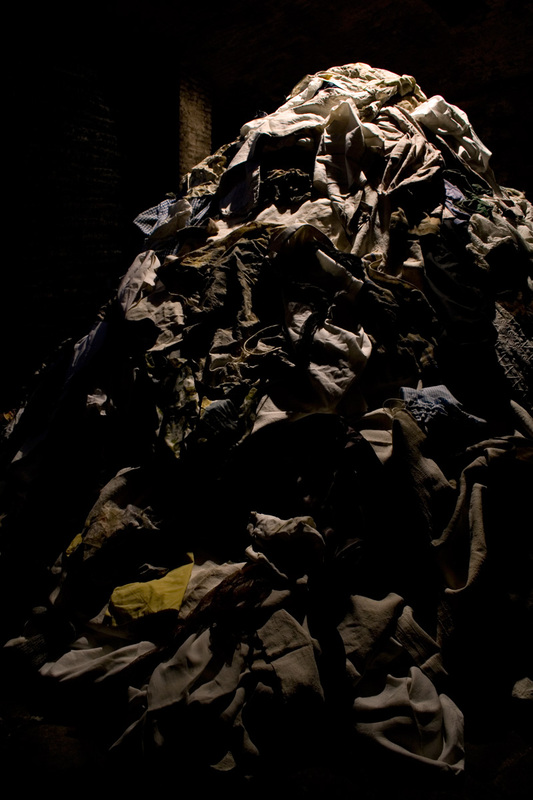 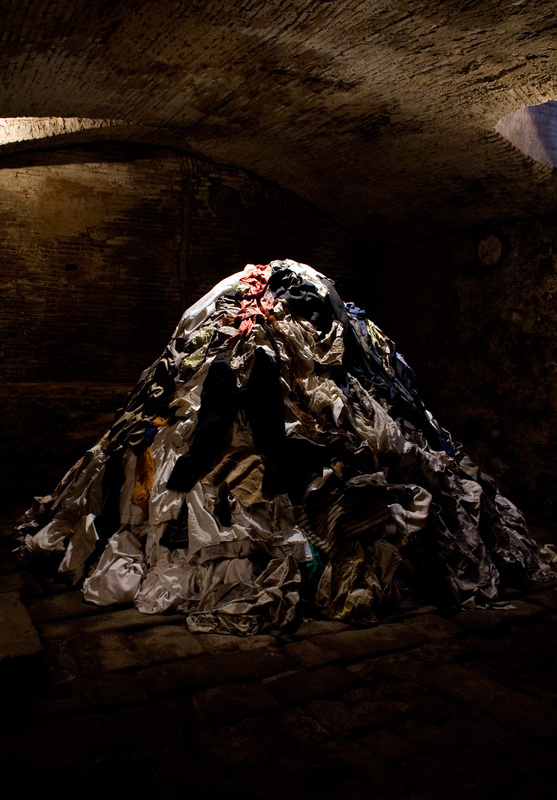 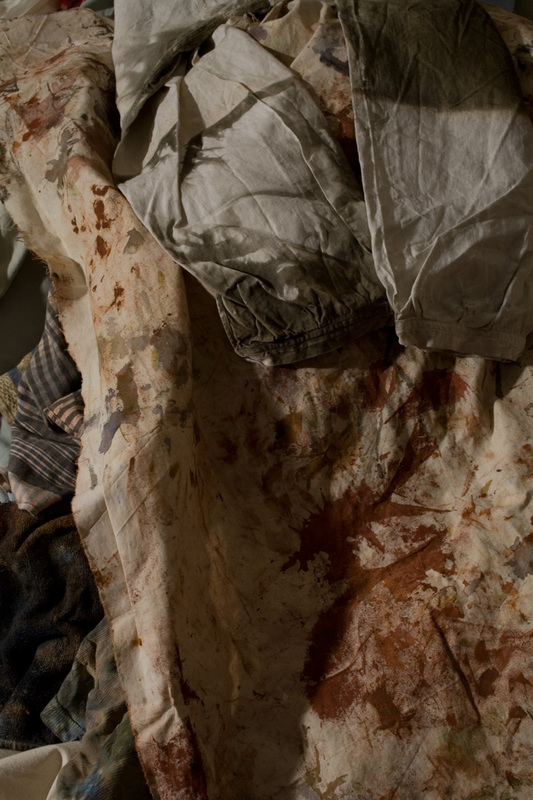 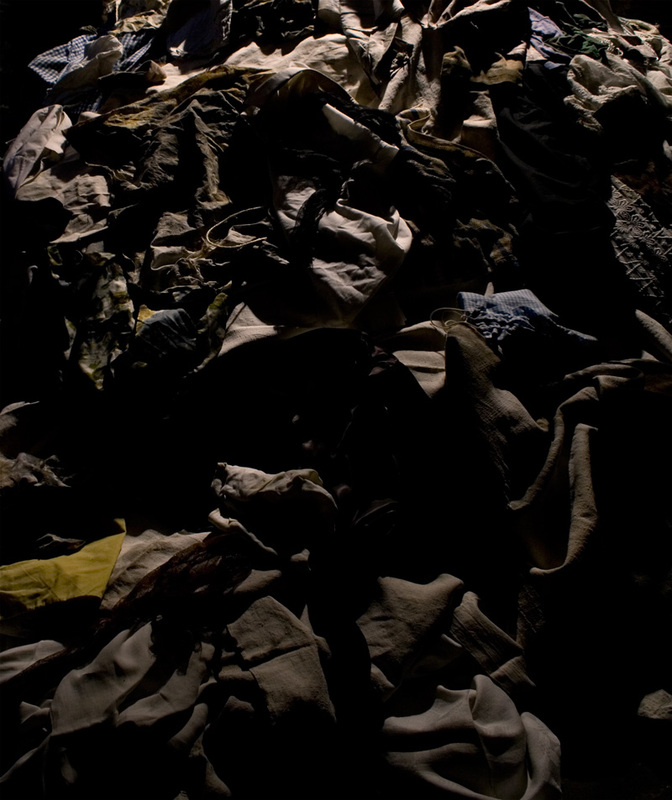 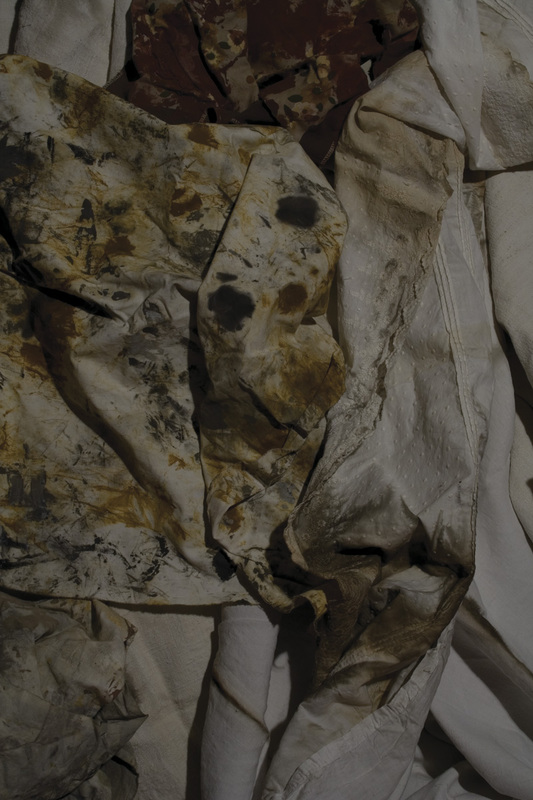 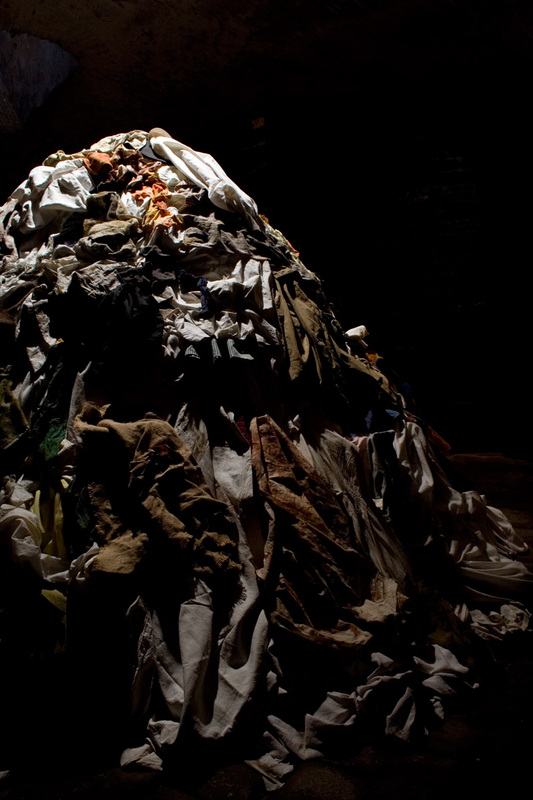 Remnants of paint take centre stage: the painter’s rags, crumpled and piled up with other cloths, become the visual metaphor of the remains of the victims. 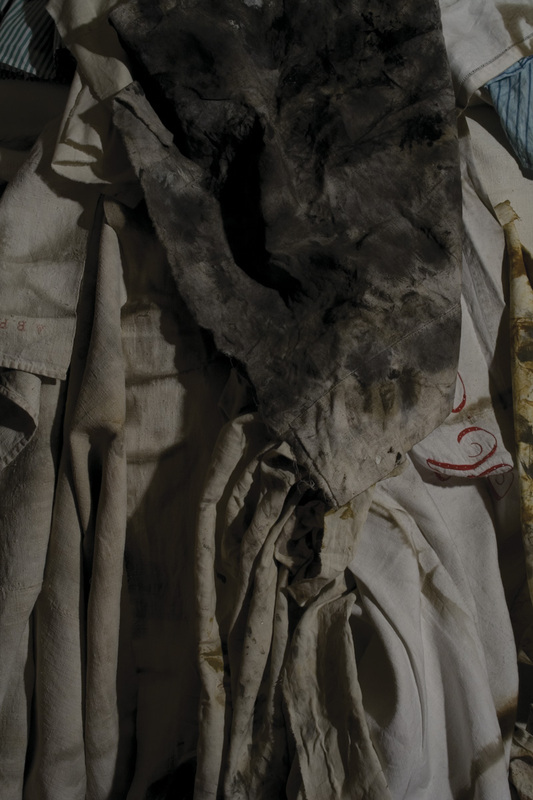 The crisis with painting as a language for the representation of historical memory will later lead to the use of violence as an artistic technique: the material blurring of the signs and the fracture of the pictorial surface. 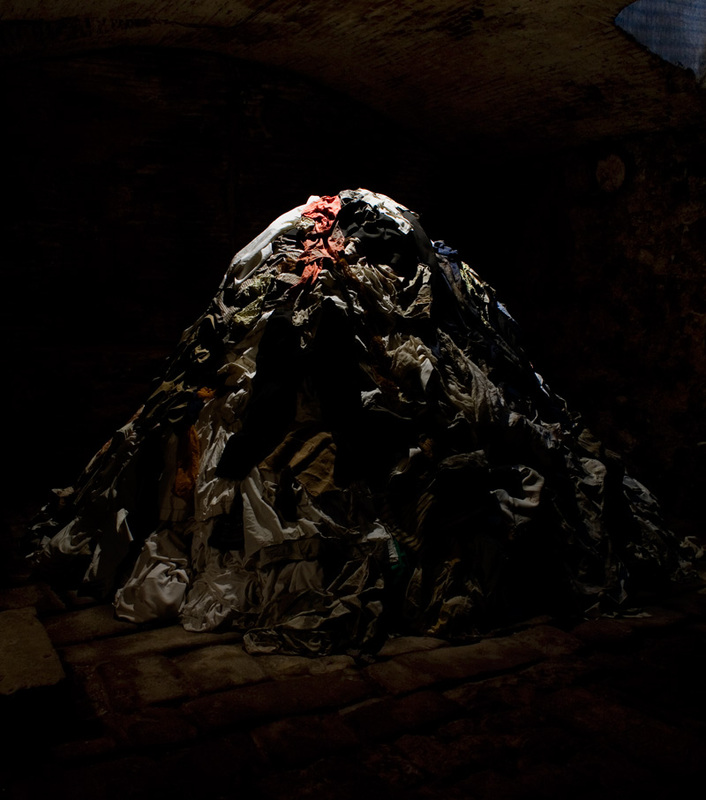 Anamnesis deals with the failure of sight, of how to continue painting “after Auschwitz” and how to address the memory of extermination from the ruin, destitution and boundaries of painting.